This is a question I get asked quiet frequently as a dog trainer. The truth is there is no “best” dog training collar out there. 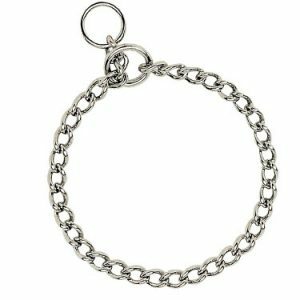 What is a dog training collar? Training collars are tools, and just like anything else you need the right tool for the job. Most training collar offer a correction to the dog based on input from the handler. For example a choke collar when a correction is applied briefly puts pressure on the dog’s throat and neck. 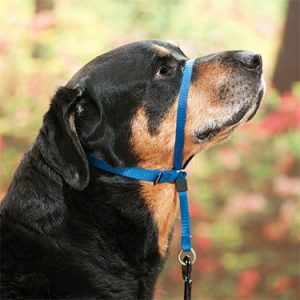 Where to buy training collars? Training collars can be found at almost every pet store, I caution you to beware of the PetCo PetsMart products as they are not well built and I have had them fall apart in a training session. I suggest buying from RayAllen.com or CustomCanineUnlimited.com. When Do You use A Dog Training Collar? you should only use a training collar when actively training your dog. Most training collars have loops, hooks, or prongs that can be snagged and injure the dog if left to their own desires. Take training collars off your dog when you’re not training! Prong collars are often looked down upon because of their appearance. Personally I love prong collars. They are safer than choke collars, offer better communication with the dog and although they look like torture devices, I have never seen a dog injured by a prong collar when used properly. 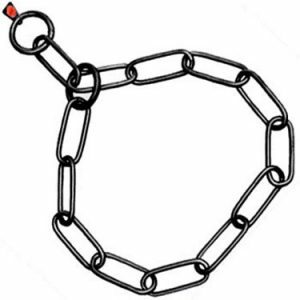 In fact a prong collar requires less work from the handler, and far less corrections are needed to be given to a dog training with a prong collar on. Choke collars are “old school” dog training collars. I remember growing up and everyone’s dog had a choke collar on. This is my least favorite collar, next to harnesses… Choke collars don’t stop constricting around a dogs neck, I hope you can see the problem here. When used improperly a choke collar can break a dogs trachea. If you don’t know how to use this collar, I would bet that you are constantly choking your dog and not seeing the results you want. I am not opposed to using gentle leaders while walking or training your dog. I prefer other collars, but the gentle leader is a good dog training collar. They are a pain to put on if you have a squirmy dog, they do however offer a great amount of control of the dog. I know many trainers that swear by the gentle leader and use them exclusively. 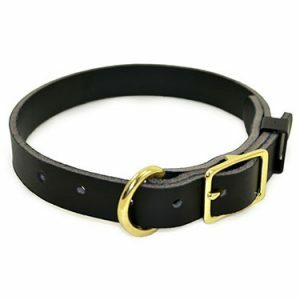 Overall, this is probably the best training collar any new trainer or owner can use to get solid dog training results. I hate harnesses with a passion. Most people use harnesses to stop dogs from pulling. Take a quick minute to view this video. What are the dogs wearing to pull the weight? A harness. 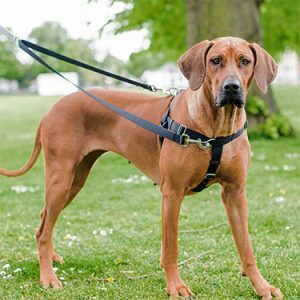 Dog harnesses distribute the weight evenly across the dog’s chest and shoulders which encourages pulling. Harnesses are tools that inexperienced owners use because they do allow you to control the dogs body more effectively, but they are not valuable dog training tools. Flat collars are not training collars. A flat collar is your standard, run of the mill, dog collar. There is nothing special about them and they do not offer very much control of the dog. Mainly because most people do not properly collar their dogs. View my video linked below all about collars and how to use them. Flat collars should be worn at all times and have the dog’s information tags, but not used for training purposes until initial good behaviors are established. 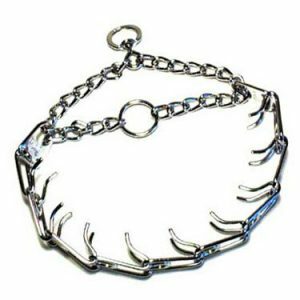 Fur Saver collars are choke collars with longer links and are designed to “lock” when a proper correction is given and then unlocks when the desired behavior is executed. Again I am not a huge fan of choke collars but I like the Fur Saver collars when used properly. The same risks apply with a Fur Saver collar as those with a choke collar. These collars have their place in training with experienced trainers and handlers and when used correctly they are good training collars. All of these collars have a specific use, when used properly they accomplish the job they are meant for. Using the collars is a whole different topic and if you think you know which collar you need but don’t know how to properly use it, you need to visit my YouTube channel and view the video on the proper techniques for using each type of collar. 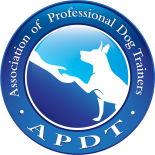 If you still have questions you need to consult a dog trainer and work with them so that you get the desired results from your training and learn to properly use the collar you have chosen.